Once Upon a Time’s Snow White is my favorite depiction of this iconic character. Deemed the fairest of them all, she is undoubtedly beautiful, but her inner beauty and strength are what make her special. She impressively learned to fend for herself resulting in a woman who capably strong. 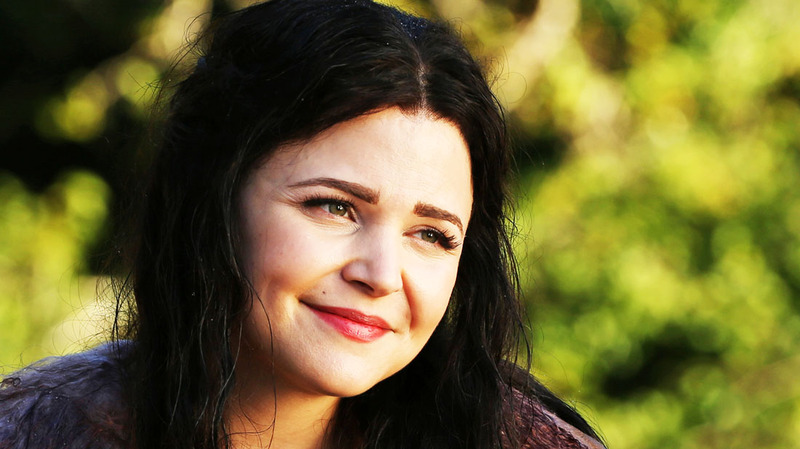 Whether in the Enchanted Forest as Snow, or Mary Margaret in Storybrooke, she is wise, a loving wife and mother, is inherently protective and self sacrificing, and has an ability to hope and forgive that is very poignant. And so many of my favorite moments reflect all these facets to her character. You never have to doubt the depth of her love. It is always beautifully written on her face. Believing her husband’s sacrifice will be in vain because of Zelena’s memory spell on the Dark Curse, Snow asks Regina to do something incredibly noble and based on the strongest of faith imaginable. She asks Regina to split her heart in half so that David can be revived. And in doing so, Snow shows so much strength, trust and belief in this moment that is truly beautiful, romantic, and poignant. She now trusts Regina enough to not simply crush her heart as she may have long ago given the chance. And although her heart may not be untouched by darkness, there are few of us who aren’t. What matters is that she believes that her heart is strong enough for the both of them- and she is right. She saves David’s life and now this couple share one heart in both the emotional and physical sense, solidifying the pair as one with the deepest of connections and Snow as a character with a heart, a will, a courage, and a faith that is deeply admirable and fervent. One of Snow’s loveliest qualities is in her instinctual protective nature. 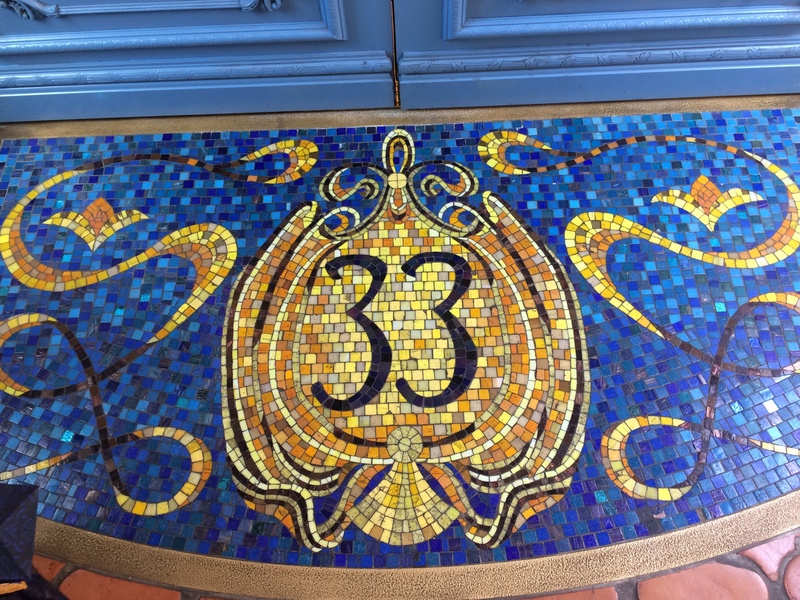 You see this with many characters, and when it is displayed towards her daughter, it is wonderful. When she and her Emma are transported to the Enchanted Forest, Snow is at home, but Emma is completely out of her element. When a troll attacks Emma, Snow not only saves her daughter but shows just how capable she truly is, killing the beast with a bow and arrow. It may have been a while since she used one, but when those protective instincts kick in, time does not matter. And am I the only one who felt a Molly Weasley protecting her daughter Ginny from Belalltrix vibe in this moment? 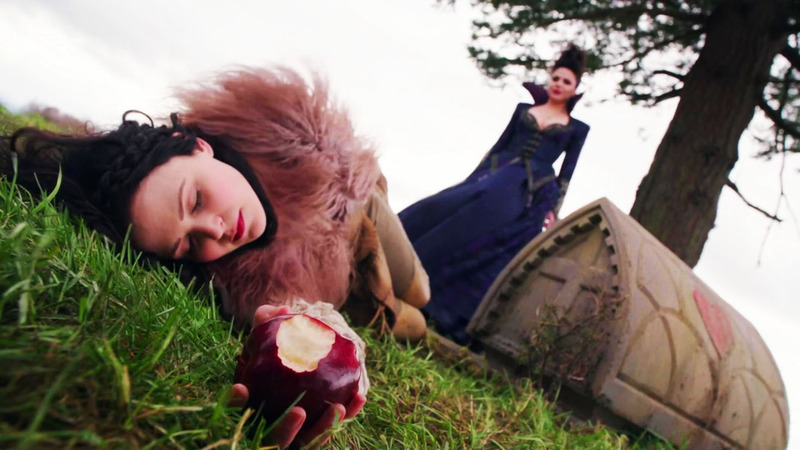 Regina’s last attempt at revenge on Snow before the Dark Curse was a emotional version of the iconic “Snow White” moment of when the princess eats a poison apple. In this version the apple must be taken willingly and Snow agrees to do so for a heroic and sacrificial reason. 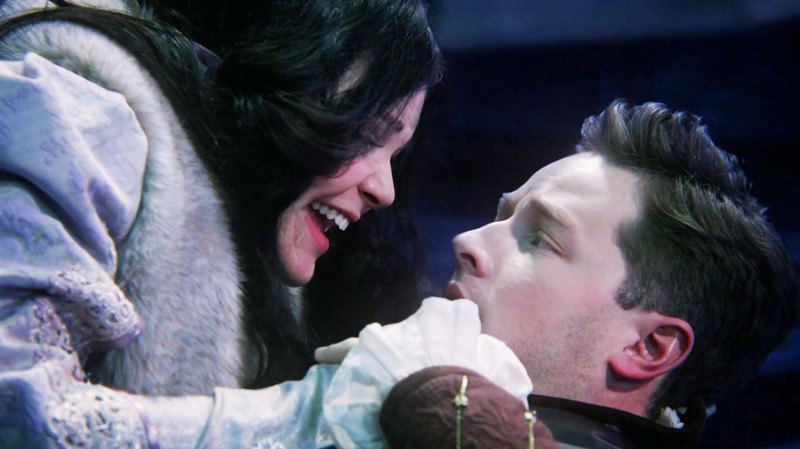 If she doesn’t, Regina will kill Charming, so Snow doesn’t even hesitate. One bite and she falls into a death like sleep, sacrificing herself for her true love. And when she does, he feels it- he can feel her pain as if it was his own. It’s no wonder they are considered such a beautiful couple. The heartbreak and melancholy dynamic of this moment has its own kind of beauty and perfectly displays how much being a mother means to Snow. When she and Emma find the remnants of what was to be Emma’s nursery, she tells her daughter how she had dreamed of teaching her to walk, and helping her get ready for her first ball there. They both were denied these precious moments and each feel the loss deeply. It is one of the first moments Emma realizes just how much her mother was forced to give up, and was a true turning point in their relationship. And the moment Snow turns around and imagines their room as bright haven filled with toys and child’s laughter my heart broke and my tears matched the ones shed by the mother who lost so much. 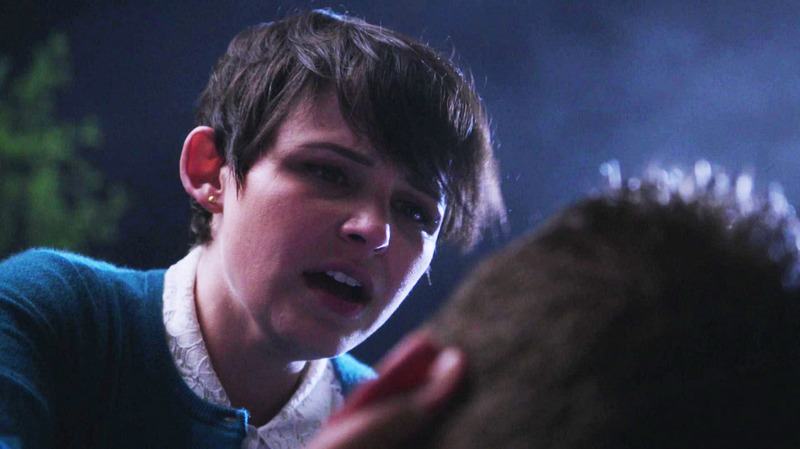 As a favor to Emma to perhaps help Henry let go of his fairy tale mentality, Mary Margaret agrees to read Henry’s Storybook to a comatose David, when the unthinkable (at least to everyone but Henry) happens. Hearing her read their story touched him because he grabs her hand in his unconscious state, showcasing that despite everything they are connected. That connection is solidified again when he awakens, wanders away disoriented, and nearly drowns, until Mary Margaret finds him and gives him CPR, which ends in something more like a True Love’s Kiss. She wakes him up and saves his life, proving that no matter the circumstance they will always find each other. 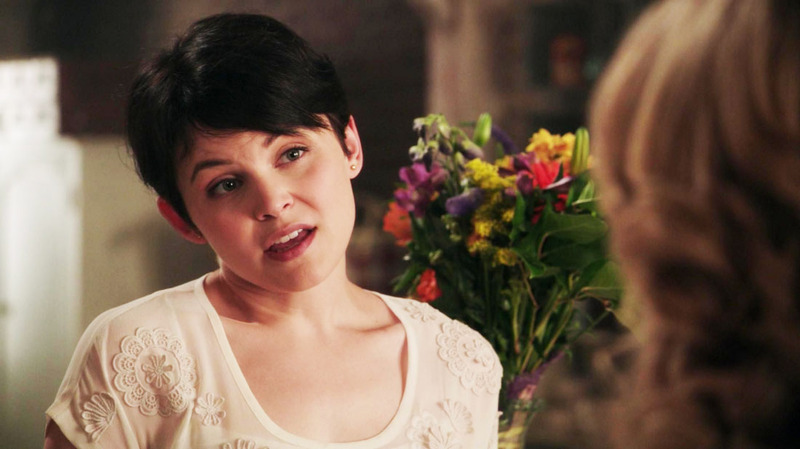 One of the first people we see able to understand Emma was her friend Mary Margaret. Their relationship shifted when they discovered they were mother and daughter, but that does negate the fact that she was able to understand that Emma has built up high walls around her heart to protect herself from getting hurt. Emma may have denied it claiming she is simply being cautious, but her friend understood this deflection and what she needed to hear. I absolutely love when Mary Margaret says, “Emma that wall of yours- it may keep out pain. But it may also keep out love” because it is a perfect assessment of Emma’s fears and shows the connection they have. 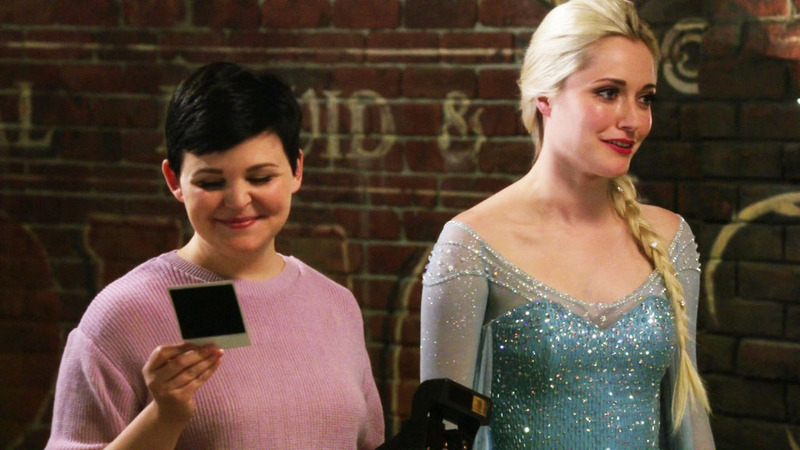 Seeing Emma open her heart since then has no doubt made Snow overjoyed knowing how difficult is used to be for her. Being denied so many of milestones in her daughter’s life, Snow’s joy at seeing her daughter go on her first date with a man she knows is special to her was poignant and touching. She was absolutely beaming talking about her “big date,” and was in awe of how gorgeous her daughter looked, happily taking pictures to capture this special moment. She never got to help her get ready for a ball and revel in the excitement, so it was only natural that she took this opportunity to do so now. Snow may have had reservations about Killian in the past, but seeing how happy her daughter is clearly means something to her, and the face she makes when Emma returns home wanting to know every detail, from the restaurant to whether he kissed her good night, was truly moving and showcased how much she loves and cares about Emma. Her daughter’s happiness is her own and that is beautiful. There are not many moments as purely fairy tale in beauty as when Charming awakens Snow with True Love’s Kiss and asks her to marry him. Of course this was an exquisite scene as she happily accepts him. But the moment that I truly loved was when she tells him they should take back the kingdom. When he asks her how, her response and sweet and touching- “Like how we shall do everything- Together.” And from that moment on, no matter what has come their way they, have indeed faced everything together, their bond never being broken. The course of True Love never did run smooth, especially when there are always those trying to keep you apart from the one you love. Such was the case of Snow and Charming. King George is so hell bent on uniting his kingdom with King Midas, that he tells Snow she must break Charming’s heart, to tell him she doesn’t love him, or the king will kill him. Knowing she must save his life, she performs this scene as well as she can, but the moment she turns from him and walks ways she can no longer hide her pain and heartbreak and the audience’s hearts break right along with her. The first time Snow sees Emma as her daughter, she cups her face with tears in her eyes, so happy to finally have been found. 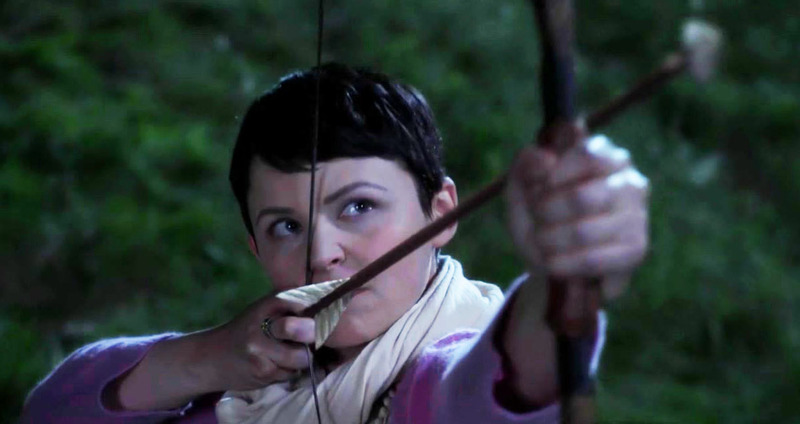 When she must say goodbye to her daughter again as Pan’s curse threatens Storybrooke, she repeats the gesture. But this time, Emma was the one whose eyes were filed with tears. 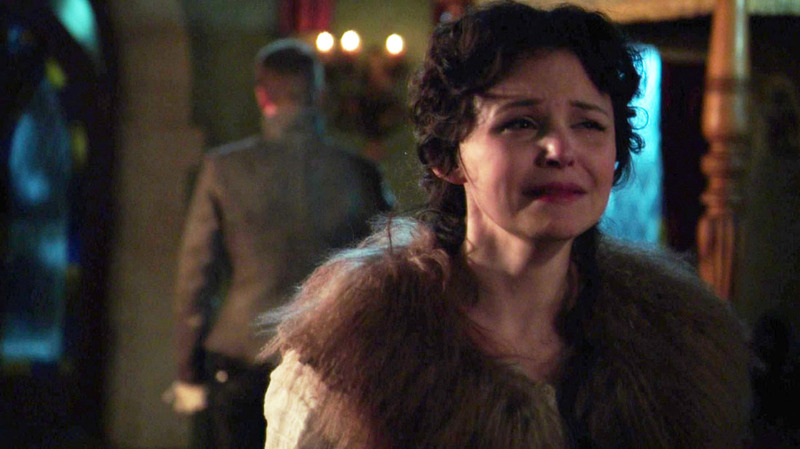 Snow’s heart was surely breaking but in this moment she was a pillar of strength. She smiles, cups her daughters face and kisses her forehead, giving her daughter the courage she needs to say goodbye to her loved ones “forever.” There are few things on Once Upon Time that have made me cry as much as this heart trending mother/daughter moment. 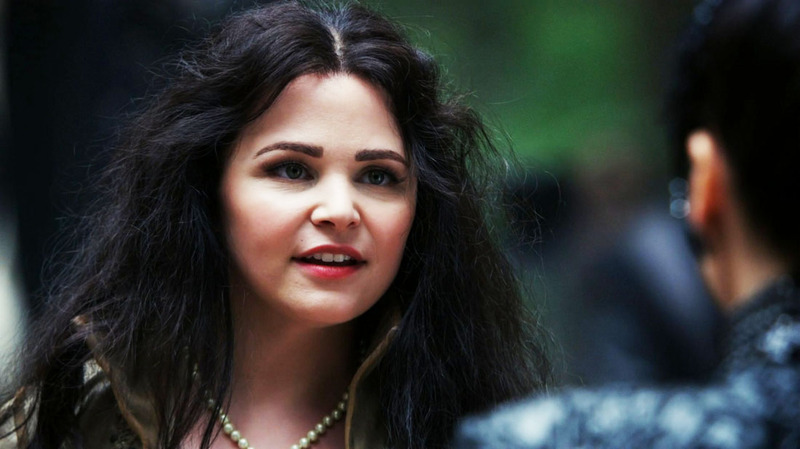 When Snow saw her husband in the Netherworld, her determination and resolve to find a way back to Storybrooke increased greatly, so she could find him and wake him and he has woke her. And the minute they return she rushes to his side. The fact that we knew it would work does not lessen the beauty of the scene. 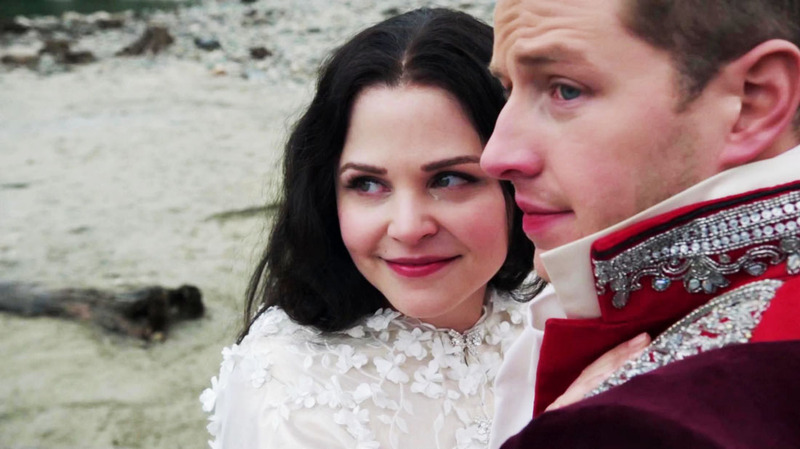 On the contrary, the fact that he says he never doubted her, echoing the same things she said when she was saved are just another in the long line of examples of what makes Snow and Charming such a sweet pair. It is such a small beat but the second glance Mary Margaret gives to Emma when they first meet was a lovely way of showing that despite everything, there is a bond between them that was instantly felt and one that no curse could ever truly sever. She then tells Emma why she gave the Storybook to Henry- so he could have hope and that “Believing in the possibility of a happy ending is a very powerful thing.” In one line she sums up the meaning behind the entire series: the incredible power of hope. One of the most dramatic scenes of the series and between these two characters is the one where Snow asks Regina to crush her heart. Her guilt is so intense it leads Snow to be consumed by nothing else, even the thought of leaving her family behind. When Regina pulls out her heart she shows her that a tiny black spot has formed because of what she had done. Regina revels and refuses to crush it, while Snow is completely distraught. Her request may have been denied, but it was important for Snow to reach this low point. He heart may have been touched by darkness, but she learned it does not define her entire self. There have not been that many moments where we have seen real anger between Snow and her husband, but none were as strong as when she was furious at David for not telling her he had been poisoned with Dreamshade, even when he had been cured. He says he was afraid telling her would mean she would not want to leave him behind, and he did not want that kind of life for her. She responds by telling him, “I would happily build a tree house and spend the rest of my days dodging lost boys and arrows if it meant I had you by my side.” This is surely a sign of how deep her loves for him goes and when she cried telling him she needs him to believe in them, we see one of the times she gives him the strength he has so often bestowed upon her. 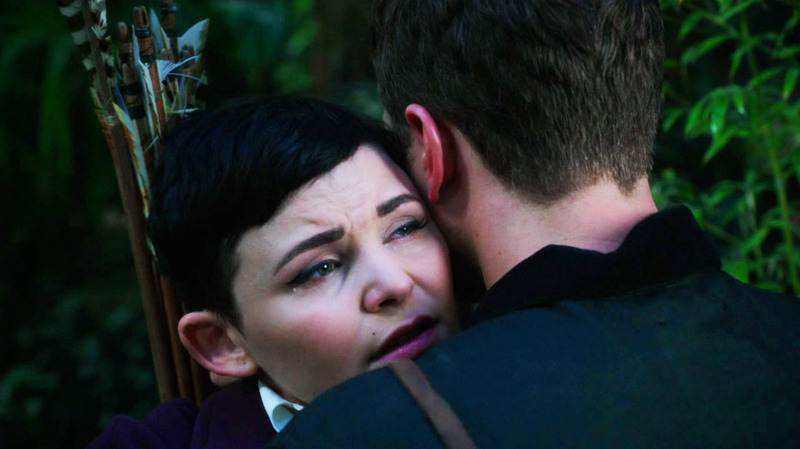 – The first time Snow sees Emma after the curse is broke she approaches her in awe, hugs her and says “You Found us”. Is there anyone who did not cry at this moment? – Snow is undeniably a sweet woman and she and David are as lovey dovey as a couple can get. That is why I adore their banter back and forth when he captures her in a net. Not only is it funny how she first bestows the name Charming on him, but just how much she seemed to dislike him with her snarky, unimpressed remarks. How little she knew. – From finding out that she had been cured and would be able to have a child to the knowing look she and Lancelot share when she realizes it was because of him (and Charming’s mother) that this is so, her happiness here is so lovely. – The moment Snow must give up Emma as a baby was incredibly heartbreaking, made even more emotional by one potent shot- the image of her uncontrollably crying in a mirror. This was viscerally affecting. – Keeping their stories straight when Emma brings Henry back to Storybrooke without his memories was difficult, and none were as funny as the moment Snow tells him she and Emma were cell mates and that she was in for “Banditry.” Classic! – Sometimes Once Upon a Time could be renamed Once Upon a Hug, and anytime Snow shows her affection this ways from Ruby to the Dwarves, it warms my heart. What I loved about h favorite reader moments for Snow was just how any there were. The number of varying scenes shows just how many this character has shown over the course of the series. The top 4 were beautiful choices and ones I included as well.